The Avocado Affair and The Roundabout Adventure: Two clear examples of total unclarity. My daughter and I have not visited in over two years. Our conversational connection is precisely where we left it, and we’ve both had two years with little conversational exploration or experimentation. That factor alone magnifies the tenacity with which our Knower/Judger filters trap us in patterns. Here are two real-life examples of what happens when we communicate using our Knower/Judgers from my recent visit with my daughter in England. Mindy, her mother, and I were shopping for the ingredients for a wonderful dinner Mindy’s husband was going to cook for us. Mindy had the list, but she had a problem. The store we were going to did not have avocados. She knew they didn’t have avocados, because she’d been in this shop a dozen times and they never had them. Resigned to the incontrovertible fact that we were going to have to run across town to grab some avocados, she bristled a little at my suggestion that the store had to have avocados somewhere. I, on the other hand, believed avocados had to be there because I saw every other kind of fruit and vegetable known to man on the shelves. Admittedly, the offending avocados were not evident. Still, I asked a store clerk and was guided to an end cap where avocados of every imaginable size were available for the taking. I offer this as a trivial, domestic example, but it’s far more serious in the world of interpersonal communications, especially on a team or in a business, trying to accomplish great things. I can’t count the times I’ve worked with a team leader whose K/J knew something, so she would simply ignore the data, or even work tirelessly to obscure any outside data that would upset her K/J understanding. Just as Mindy knew that there were no avocados at this store. Open up. Let the K/J go once in awhile. The avocados could be right there on the end cap. 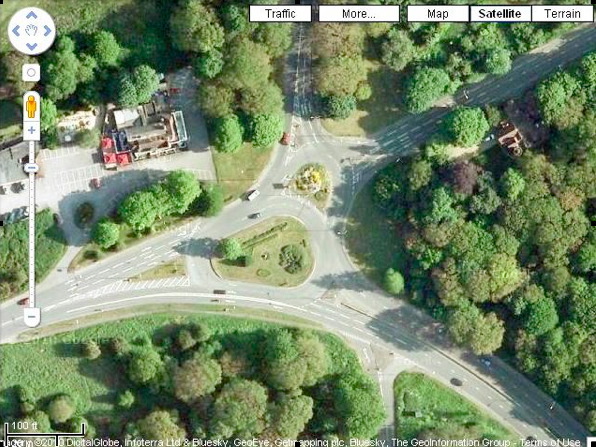 In England, you see, going straight through a roundabout means you leave continuing on the same road on which you entered (usually the second exit of a crossroad roundabout). That was not my immediate interpretation of the word. “Straight” to me meant not turning the steering wheel and continuing on the straightest path possible while to her it meant continuing to the right until I reached the second exit. But the picture of her with her right arm thrust 90 degrees to the right commanding “Straight!” just made us both burst out laughing. “Take the second exit” would have prompted me unquestionably to go where Mindy wanted me to go. Another example of individual K/J-filtered understanding misconnecting. How often does that happen in your world? If Mindy had been riding with a British friend, her instruction would have been executed perfectly. In business, new hires don’t have years in the culture, and first-time encounters with professional peers who need to connect (engineers, scientists, etc.) haven’t benefited from years of side-by-side research. This suggests that while your K/J can get you in all sorts of trouble with those close to and familiar with you, it’s far more likely to get you in trouble when you’re engaged with someone you’re not so familiar with. Recognize it, and use your Learner/Researcher to minimize troublesome disconnects.